YuJa is an enterprise video platform for educational organizations of all sizes. Their suite of services includes lecture capture, live streaming, media management, video classrooms, and immersive social & mobile learning tools. Using a YuJa captioning integration you can request captions and have them added to your videos automatically, all from within your YuJa account. Our integration with YuJa allows users to make captioning requests using their YuJa account. From your YuJa media library, choose the media you want to caption, and under the asset’s details go to the accessibility tab. Here you can indicate that you want “Human Captions.” In the CaptionSync tab, you can select a turnaround time and request the captions. 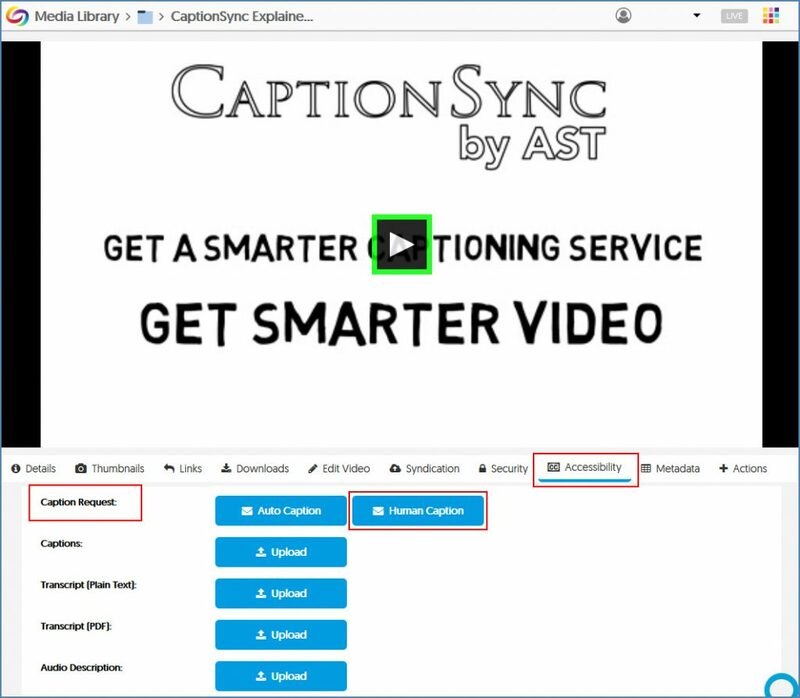 Your media will automatically be directed to one of CaptionSync’s professional human transcribers. Once the captions are finished, they will automatically be displayed on your video in YuJa when you click the CC button. For more information on our YuJa Captioning Integration, visit our Support Center.